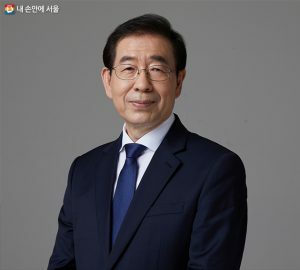 a monthly bicycle-riding campaign from May to November under the theme, Biking through Seoul, to further promote bicycle use and heighten safety awareness. For this year’s inaugural event, Seoul is recruiting 1,000 participants on a first-come, first-served basis for the 1st Annual Seoul Bicycle Parade on May 12, 2019, via the Seoul Metropolitan Government website (http://seoul.go.kr). The 1st Annual Bicycle Parade will kick off at 8 a.m. on May 12th at Cheonggye Plaza. The 6-kilometer, 50-minute course, including bicycle-only sections, will run through the south Jongno roadway, around Dongdaemun (Heunginjimun) Gate, down the Cheonggyecheon-ro bicycle-only lane, and into Cheonggye Plaza. The Bicycle Parade is not a competition for speed, but rather, a part of a travel campaign promoting the safe coexistence of bicycles and vehicles on the road. As participants will ride in advanced, intermediate, and novice courses, they can enjoy the spring breeze while riding with ease. Participants can receive bicycle safety inspections at Cheonggye Plaza, the starting point. 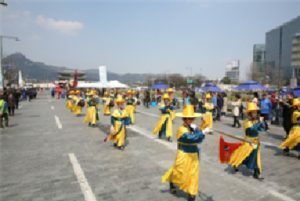 Following a brief collective stretching session, the parade is set to commence, and once participants have returned to Cheonggye Plaza, completing the course, they can enjoy a photo zone, a Ttareungyi experiential zone, and various cultural performances. Participants must be over the age of fifteen, able to complete the 6-km course, and have bicycles, helmets, and other safety gear in hand on the day of the event. Those without personally-owned bicycles are free to rent a Ttareungyi bicycle at the Cheonggye Plaza, starting from 7 a.m. on the day of the parade with the appropriate safety gear ready to participate. ○ Date & Time: May 12 (Sun. ), 2019, starting 8 a.m.
○ Programs: Opening ceremony, bicycle parade, photo zone, etc.